Our professional staff is ready to assist clients with care. It is one of the best health care professional in various areas. Client's can get physical therapist and occupational therapist at a cheaper price. Get home health aides and personal care aides for a long tenure. Many families struggle to make decisions about the best living situation for their aging. Above All Home Care will help alleviate those struggles. Qualified and dedicated nurses available to meet your every clinical need of care. Provides Activities of daily living, run errands, accompany to appointments. Perform a variety of household care services and maintenance. Our team of experienced Therapist restores function and improve mobility and overall fitness all in the comfort of your home. Above All Home Health Care Services Inc. is a Licensed Home Care Agency that provides nursing care, Eldercare, Personal care, Companion care and Respite care to the elderly and disabled adults who need assistance to safely stay in the comfort of their homes to receive care. This care can range from a minimum of 4hours per day to a maximum of 24hour hour live in care, and changes as the client's need arises. To determine the patient's exact needs, our Director of Nursing will assess and coordinate your needs with your physician, hospital, yourself and family members prior to services. This will assure an easy transition to homecare services. With trends in the health care continuing to change, it is now possible to maintain a patient in the comfort of his/her own home, sustaining quality of life and living in a safe home environment, to allow aging relatives and the disabled stay in their homes. Our mission is to help our clients lead independent dignified lifestyles in the safety and comfort of their homes; while providing the best and exemplary care they need. If you or a loved one is in need of care at home, we are here to offer you our exceptional services of care. Our nursing agency has well experienced homecare professionals to give best service to our clients. It is licensed with NYSDOH and also get treatment for all kind. 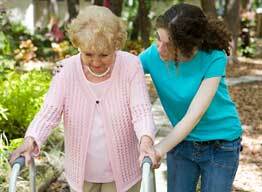 You can avail services like geriatric, pediatric, post surgical, alzheimers and for disabled person. Our staff can determine the exact need's of the patient and also weekly checkup for monitoring health status. Health care center providing quality care for the elderly, children, adult. Health care is Licensing and Certification is a unit in the Division of Health Care Services. Professionals and Experienced staff provide the most timely & efficient services possible. Read first thing what our valued clients are saying about Above All Home Care Services Inc.
"We knew that Above All Home Care was the right choice from the first initial interview. Their professionalism, caring manner, and the focus to meet the needs of our daughter was evident." Above all Home Healthcare Services Inc is a well established and trusted care provider providing care for the elderly since 2000. @2017 Above all Home Healthcare Services Inc. All Reserved.